After Susquehanna and Guggenheim gave VF Corp (NYSE: VFC) a Buy rating last month, the company received another Buy, this time from Merrill Lynch. 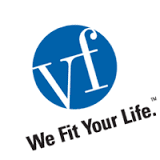 Analyst Robert Ohmes maintained a Buy rating on VF Corp today and set a price target of $105. The company’s shares opened today at $90.09. Ohmes has an average return of 8.8% when recommending VF Corp. According to TipRanks.com, Ohmes is ranked #2479 out of 4872 analysts. Currently, the analyst consensus on VF Corp is a Strong Buy with an average price target of $100.73, implying an 11.8% upside from current levels. In a report released yesterday, Guggenheim also maintained a Buy rating on the stock with a $105 price target. VF Corp’s market cap is currently $35.46B and has a P/E ratio of 59.84. The company has a Price to Book ratio of 9.50. Based on the recent corporate insider activity of 47 insiders, corporate insider sentiment is negative on the stock. Last month, Scott Roe, the VP & CFO of VFC sold 29,544 shares for a total of $2,740,797.